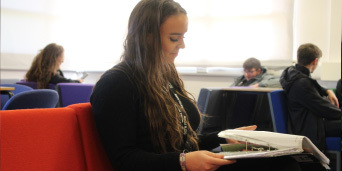 Your choice of where to study at Post 16, and which courses you want to take, is one of the most important decisions you will make in your life; it can help to determine your choice of university, you career and ultimately your future. We will help you, push you, guide you and nurture your talents so that you achieve your goals, reach your potential and have the highest aspirations possible. We have experience of getting students into the best universities and the best courses over the last sixty years. This is a great 6th Form and we are rapidly improving all aspects of our provision further. 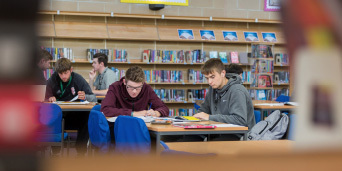 We are exceptionally proud of the fact that our results improved again in 2018 and that the current Y13 have the potential to set the best A-level results the school has ever had, which is a testament to the hard work, skills and determination of the staff and students alike. Indeed, the result our Y13s achieved at AS put them in the top 25% of students in the whole of the UK. My focus is to continue to make Prestatyn the best educational provider in the country. We will work tirelessly to make this happen and we would like you to join us on this journey. At Prestatyn, we have an exceptionally wide-ranging curriculum offer, providing courses that are suitable for all, no matter your interests. We have established a national reputation for our vocational qualifications and it is not surprising that they are extremely popular. In all our departments, from Maths to Biology, Economics to Literature, we have teams of excellent teachers who combine years of experience with the highest qualifications. Our staff are ideally suited to help you achieve your goals, blending the right amount of support and challenge helping students push the boundaries of what is possible. The Governors and teachers of the school are particularly proud of our deserved reputation as a caring community. We never forget that we are here for the benefit of the students. The quality of education is always about the quality of staff and, if you join us, you will have the benefit of two hugely experienced Post 16 Leaders, Mr Vernon and Ms Reed, supported by Mrs Jacobsen and an outstanding pastoral team. In addition, our form tutors have vast experience in helping students with their UCAS applications. We treat every student as an individual and as someone to be valued. We have high expectations and consequently expect full commitment from all our students. If you work as hard as you can then we have the experience and the ability to guide you to the best possible placement in Higher Education. It is our proud boast that everyone who works hard to go to university can be found a place. Students from recent years are currently studying for degree courses at universities such as Cambridge, Manchester, Liverpool, Cardiff, Leeds, Bristol and other Russell Group Universities. But we are not complacent and we are always trying to improve. We recognise that your success over the next two years will help to determine your future. Parents always give strong support in this area and this is matched by the enthusiasm of the students and the hard work and commitment of the tutors. 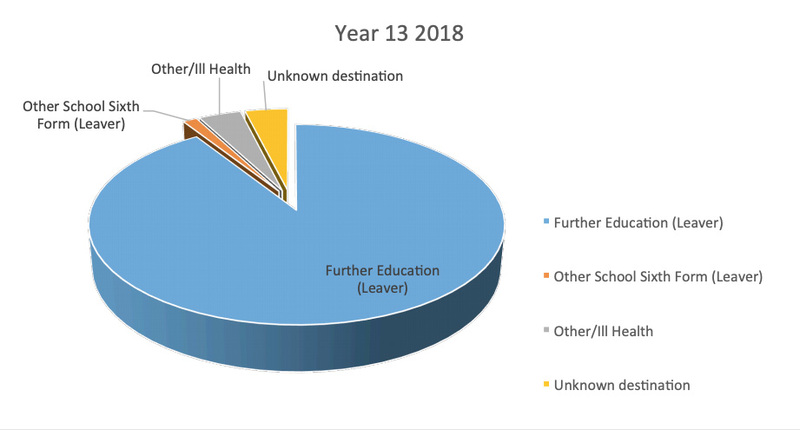 Students from our current Year 13 are applying to Oxford and Cambridge Universities for a variety of courses, while medicine and dentistry are popular choices for many of our most able students. In addition to the usual support, these particular students are receiving extra help as part of the SEREN network. The Seren network has been set up by the Welsh Government to support the most able students in a series of ‘Hubs’ around Wales. 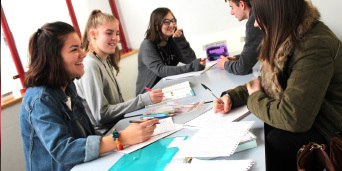 Of course, while results are vitally important to us at the Prestatyn Sixth Form, we also provide our Post 16 students with a very wide range of additional opportunities and experiences. So, whether you are interested in theatre, sport, music, movies, media, debating, charity work or trips abroad there will be something on offer for you. No written information can give the answer to all of your questions, so please do not hesitate to contact us if you have any queries. If you choose us for your Post 16 education, rest assured that you will be well-supported as you join a thriving, vibrant and successful centre. We have a wealth of Post-16 experience at PHS and a long record of outstanding success to help you achieve your potential and we are confident that you will find it an enjoyable and rewarding experience. We look forward to welcoming you in the near future. 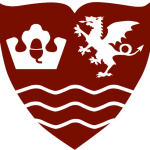 Prestatyn High School is a significant provider of further education for 16-19 year olds in Prestatyn, Rhyl and the surrounding areas. We are proud that we can offer the widest range of courses that equip students with the qualifications and skills for a successful future in higher education and employment. We provide the best opportunities for a wide range of students. • We commit to continuously improve the quality of learning by excellent teaching. • We commit to bringing equality and fairness to all aspects of sixth form life. • We commit to help you plan your programme of study and help you plan for your future. • We commit to monitor your attendance and regularly review your progress in each subject area. We have a wide choice of general and vocational subjects available so you can choose the combination that suits your personal situation. We have highly qualified teachers and lecturers that specialise in their subject areas. There are study areas for you to use outside the classroom with up to date technology, a library and other work areas with PCs and internet access. Well equipped laboratories, workshops and computer suites support learning. There are social areas for times between lessons. We offer excellent support and guidance to our students provided by specialist staff and we have excellent careers advice provided by Careers Wales.